Bread is a staple of diets in countries around the world because it is cheap to make, versatile, tastt and packed with essential nutrients. The importance of bread means it is often produced in huge volumes to meet demand. However, this also leads to it being one of the most frequently wasted foods because people tend to buy more than they need to ensure they don’t run out. In order to tackle the wastage, buyer trends would need to change. This can already be seen in some cases, particularly with the introduction of half loaves over the last few years. These are designed for people that only want a small amount of bread rather than a whole loaf that they may struggle to use up. They were introduced as an alternative to the smaller loaves because many people still want full size pieces of bread; they simply want fewer slices. This has solved one problem, but it leaves another for people who consume slightly more than a single loaf of bread. Typically they would need to consume less or be forced to buy an additional loaf. Naturally both options are not ideal but the second could dramatically increase waste. We recognised this issue and introduced our long loaf to meet consumer demands. Longer loaves are perfect for people that need more bread than a single loaf but less than two. 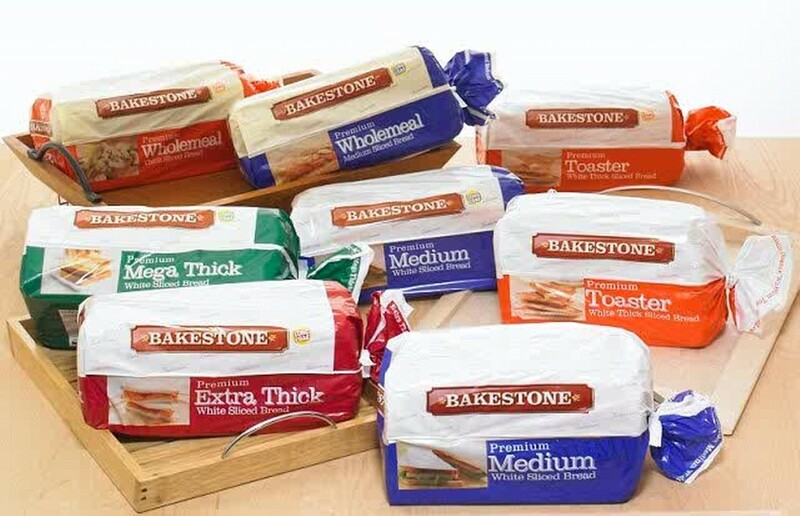 There are a range of Bakestone long loafs to choose from including white, brown and wholemeal in medium and thick sliced varieties. We are proud to offer our bread supply across the north of the UK, catering for the needs of all kinds of business owners. We are committed to offering the most reliable bakery supply services in the region, both in terms of the range of products we offer and the flexible deliveries we can arrange. If your customers are looking for longer loafs of premium quality bread, we can certainly provide the products you need. Bread has been a staple of diets from cultures all around the world for millennia. It is made using various cereals and other ingredients and many varieties bear the name of the cereal used in the flour, whether it is wheat, rye or corn. There are almost as many different bread making techniques as there are varieties, showing just how much effort people have put into developing and discovering products. The reason bread became so essential is that it is rich in carbohydrates and contains several other important vitamins and minerals. It was also cheap to produce, making it a cost effective way to help people get many of the nutrients they needed in their diet. All of these qualities made it into a staple food and are why the World Health Organisation (WHO) recommends people consume it every day. The importance of bread has made producing and supplying it into a huge industry. The short shelf life of products means speed is important in all stages of the manufacturing and supply process if consumers are to get the fresh produce they demand. Any problems could cause delays and leave people without a vital staple of their diet. With such a high level of competition, it could also cause businesses to lose customers as they can easily purchase a different brand. This means producers generally invest a huge amount in their production and supply chains. The key to bakery supply is to keep lead times to a minimum. Producers should ensure they have all of the materials they need to make products as and when they need to. Efficient machinery is also wise because it will help with production and meeting tough schedules. Finally deliveries should be regular and capable of providing a reliable supply to shops. We understand the importance of efficiency when it comes to bakery supply in Yorkshire and across the North West. We can meet the needs of all kinds of clients and ensure they have fresh produce to sell to their clients whenever they open their doors. We deliver throughout the region and have extensive experience working with convenience stores. If you need a regular supply that you can rely on to arrive on time every time we are the producer for you. Additionally our products are high quality so your customers will be happy to make them part of their diet.